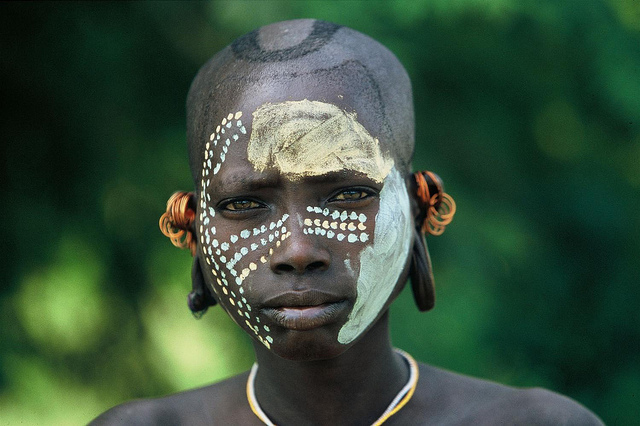 There are less than 10,000 Mursi people left in the world. 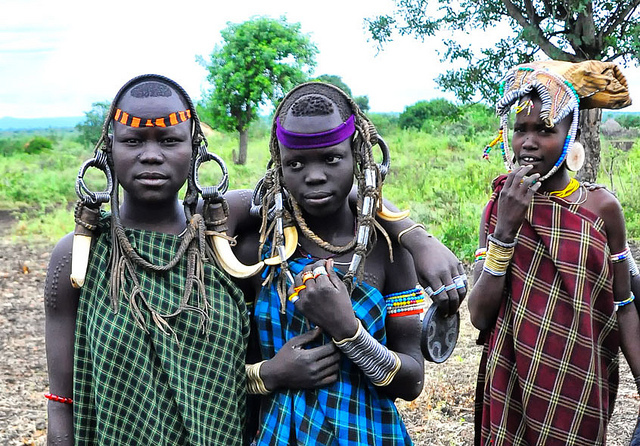 The majority of them live in southwestern Ethiopia, in Omo National Park, one of the most isolated areas in Africa. 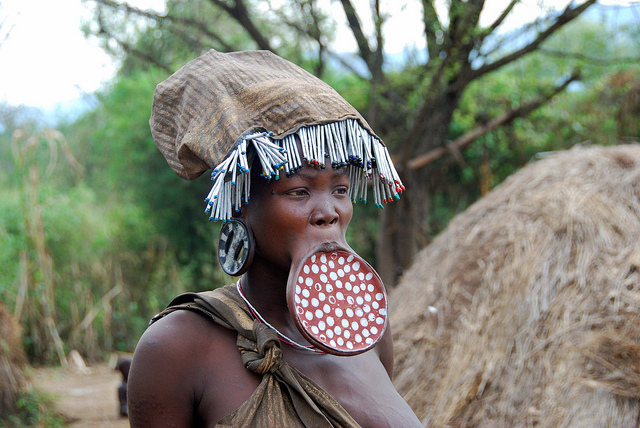 Lips plates are worn by mostly women to signify their status as single or married. A young unmarried girl will have her lip cut and held open by a wooden plug until she reaches the age of 15 or 16. It is up to the individual to pick lip plate size, but it’s assumed that the larger the lip plate, the more bride-wealth the female has. 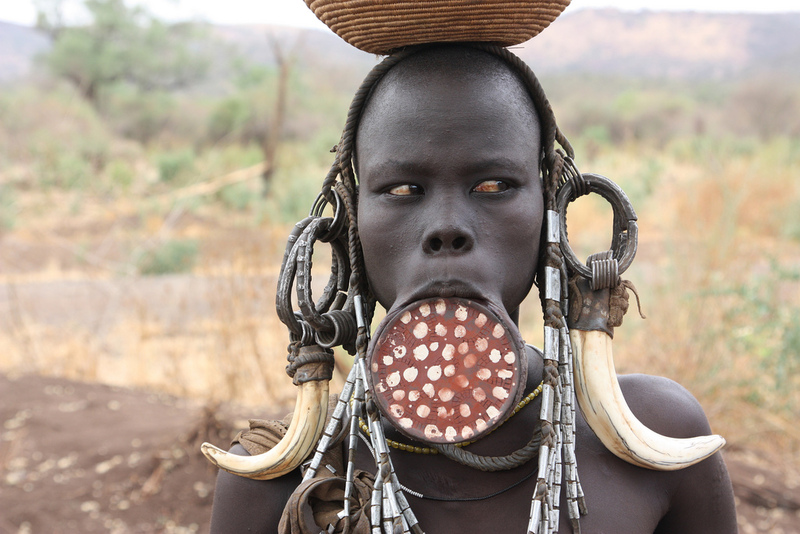 The Mursi people believe in a higher force that they call Tumwi. This force is believed to be a figure in the sky, often a rainbow or a bird. Their religion is often classified as animism. 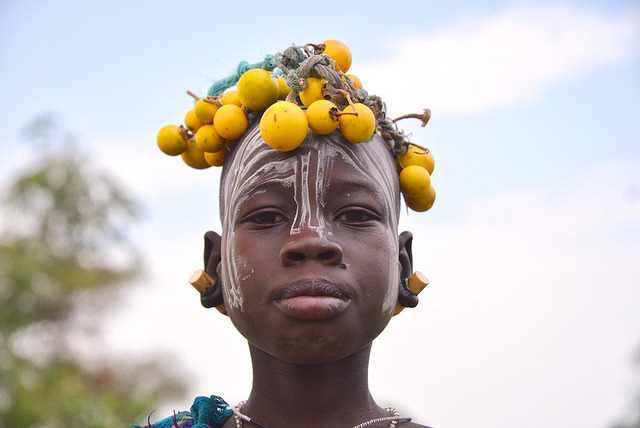 A Komoru is a high priest in the Mursi tribe, who often acts as a direct communicator between the people and Tumwi. He conducts rituals to bring rain, fight disease and protect from attacks by other clans. 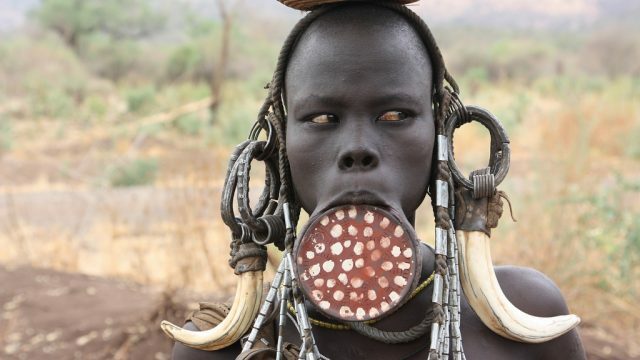 The Mursi dialect is classified as “Surmic” within the Eastern Sudanic branch of Nilo-Saharan “super family.” The Mursi people are increasingly becoming multi-lingual, accepting Bench (the official language of Ethiopia) as a first or second language. It was not until recently that Mursi became a written language. 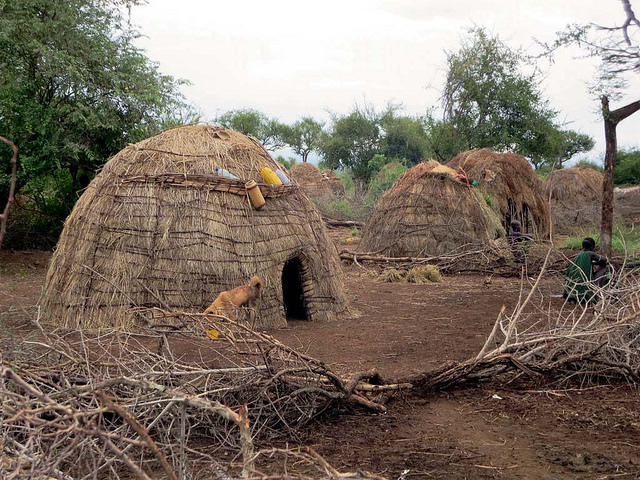 The Mursi live in huts called doris that each house several family members. 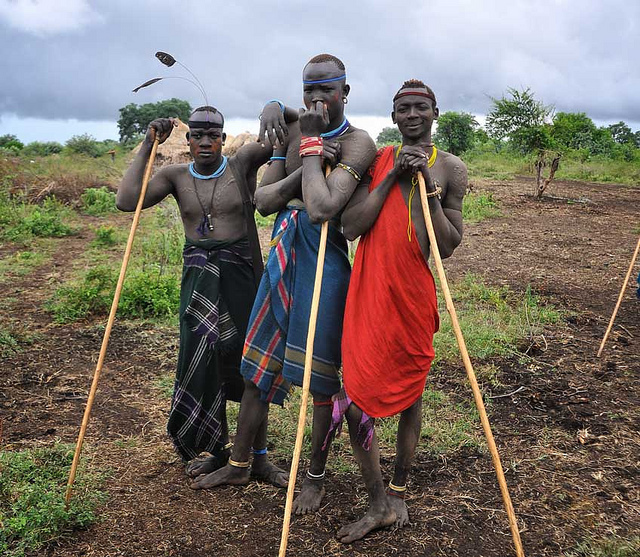 Single Mursi men partake in a ceremonial dueling (donga) using wooden poles, and fight each other to prove their masculinity. The fight will continue until one of the men is defeated by keeling over from broken bones or other bad wounds. This fight is often ritualized to impress unmarried women and prove a man’s worth as a husband. 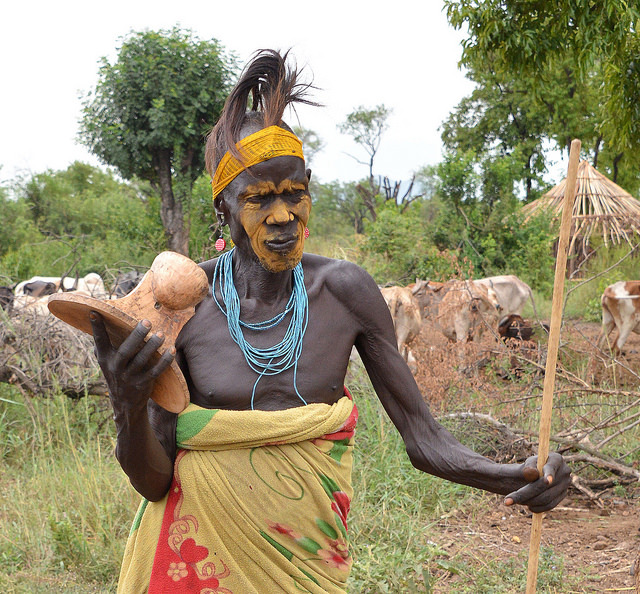 In Mursi clans, age plays a significant role in identifying the status of each individual. Married women have the same age status as their husbands, and some men do not get labeled as an adult even though they may have reached maturity years ago. Elders become the “police” of the clans and often punish or watch over their people. 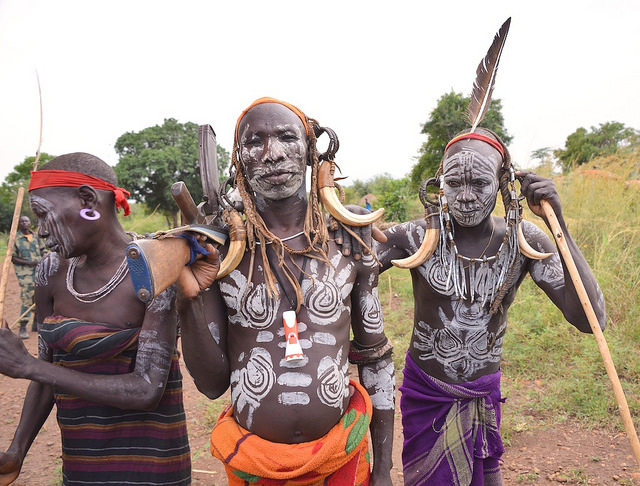 Some Mursi clans are aggressive around unwanted tourists while others welcome them (usually to earn money). The friendlier clans will sometimes go as far as dressing up in traditional ritual attire for tourists, despite having no real event to celebrate. 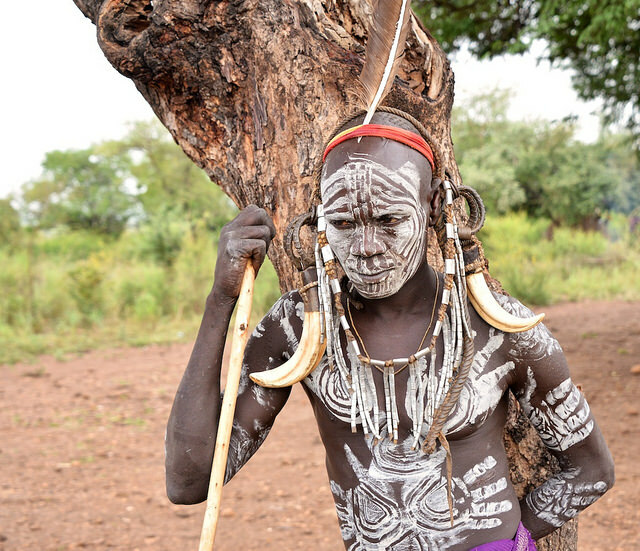 Most Mursi males carry rifles around with them, but that should not make you nervous — they only them it for protection against possible attacks from other clans. The Mursi people became Ethiopian citizens in the nineteenth century, when Emperor Menelik II established the modern borders. Over time, the Mursi relocated to several locations within Omo National Park (to drier or warmer areas). 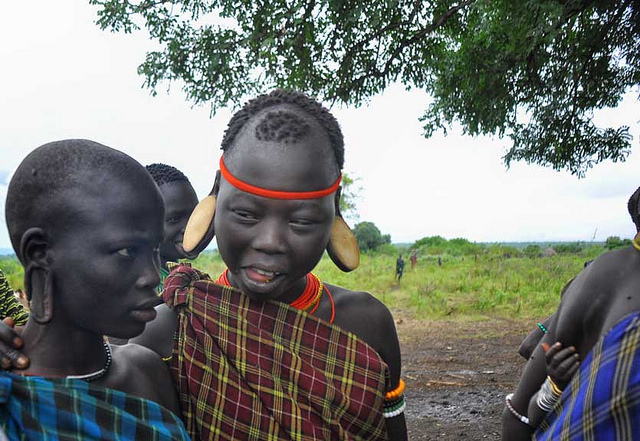 There are 18 different Mursi clans residing in Omo. It’s considered taboo to marry into another clan. Each clan slightly differs in attire, rules, and clans are not always friendly to each other. 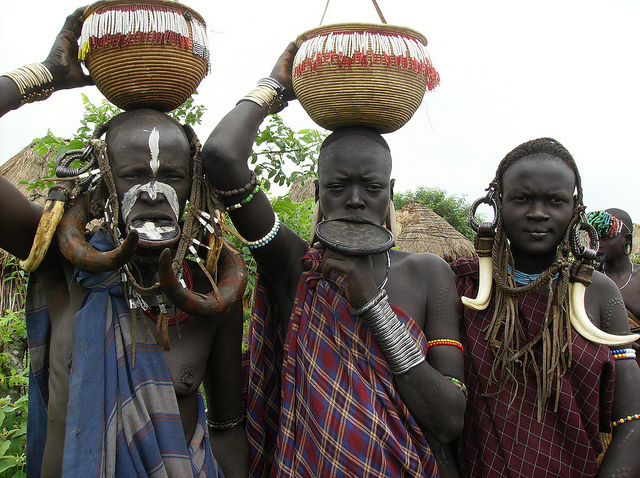 Mursi people rely heavily on cattle for meat and milk. They also harvest sorghum, maize, chick peas, and beans. 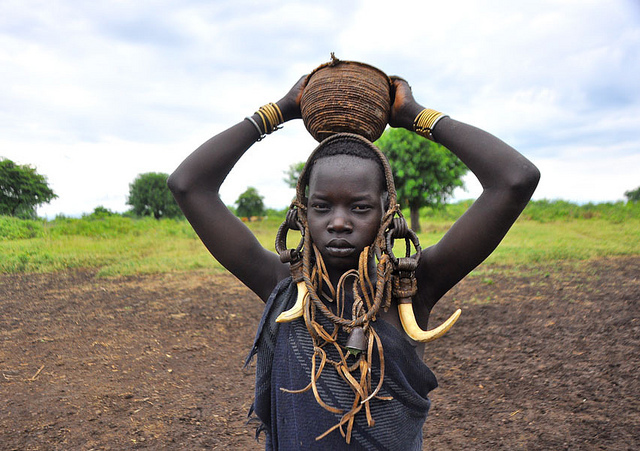 Unfortunately, the Mursi people often face drought, which weakens their crops and cattle herds. During every marriage ceremony, it’s ideal for the bride’s family to hand over up to 38 cattle to the groom’s family. Often the priest (komoru) or a healer (nana) will play a role in healing a sick or wounded person. Open wounds may be treated with herbs, and healers may perform a dance for an ill person. Female healers often will rub their hands against the sick person repeatedly to “cast out” the sickness, or will wipe the person down with gourds, coffee or clay. Controversy has swirled around the African Parks Foundation and the government, who have been accused of “duping” the Mursi people into signing over their land. Hydroelectric dams are being build in Omo National Park, forcing some clans to relocate. 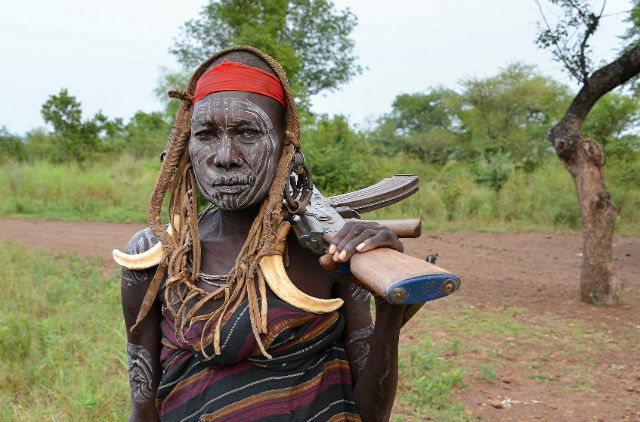 Human rights activists have heavily criticized these organizations for trying to enact new laws which would make the Mursi tribe squatters on their own land. The future of the indigenous people of Omo is uncertain at this point.